It’s a commonplace that most historical studies of U.S. public diplomacy have focused on Washington policies, themes, leaders, and decisions. They have thus slighted how policies were implemented “in the field” -- in other nations, regions, and societies. There’s not much written on how Public Diplomacy officers at U.S. embassies, consulates, and American centers presented the United States to the people of other societies or how they advanced U.S. policies. As of this writing, more than 1,900 transcribed and edited interviews of retired diplomats can be located (and searched) via the ADST website. There’s foreign policy and Public Diplomacy, but much more. Stuart Kennedy, who led the interviews project and conducted many of the oral history sessions, was committed to including social history. Philip Seib [JB -- see] of the University of Southern California recently wrote that the Public Diplomacy officers of the Foreign Service are often “underrated.” To understand their work away from the Washington limelight, turn to the oral history interviews. ‎The 205-metre-long, 11-deck cruise ship MS Ocean Dream (built in 1982 at a Denmark shipyard; overhauled in 1998, modernised in 2007) since 2012 is part of the fleet of Japan headquartered International organization Peace Boat. 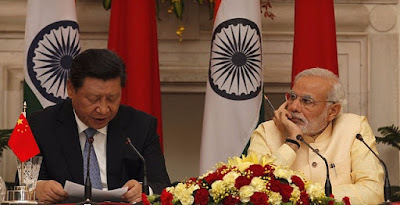 Image from article, with caption: "Euphoria around India’s soft power seems to have vanished with recent Doklam faceoff." Completion of High school diploma minimum is required. 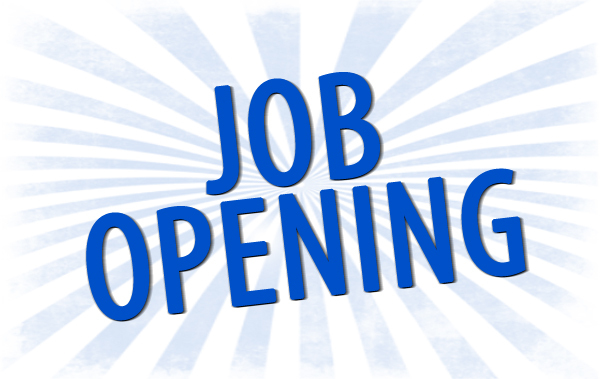 A minimum three years prior experience in program administration is required. Good knowledge (level III) in English and French is required. Thorough understanding of nature of goals of international development in Public Health and Development sectors is required. When equally qualified, US Citizen Eligible Family Members (AEFMs) and U.S. Veterans will be given preference. Therefore, it is essential that the candidate address the required qualifications above in the application. Currently employed US Citizen EFMs who hold a FMA appointment are ineligible to apply for advertised positions within the first 90 calendar days of their employment. Currently employed NORs hired under a Personal Services Agreement (PSA) are ineligible to apply for advertised positions within the first 90 calendar days of their employment, unless currently hired into a position with a When Actually Employed (WAE) work schedule. The candidate must be able to obtain and hold security clearance. A new Washington research paper released on 21 July recommended warning China that the US will use military force if North Korea does not curtail its nuclear ambitions. Bruce Wharton, the first Under Secretary for Public Diplomacy from the ranks of the career Foreign Service, has retired. Wharton has provided stellar leadership and set a fine example for public diplomacy employees since his appointment last December. No successor has been announced. Nothing indicates that Ambassador Wharton's departure is anything other than a well-deserved retirement. However, it comes at a time when major change looms for the whole State Department. Deliberations have begun for a "redesign" of the entire State Department, one of Secretary Rex Tillerson’s major priorities. The budgets for educational and cultural exchanges, international broadcasting and global public diplomacy operations are under debate in Congress, after the White House’s “skinny budget,” endorsed by Tillerson, called for a drastic reduction in exchanges’ funding. At the same time, State and USAID planners are revising the agencies' strategic goals to reflect President Trump's "America First" policy. These will set the policy focus for the PD bureaus and the posts around the world. Ambassador Wharton is the highest-ranking PD official to depart. Other retirements have left the Educational and Cultural Affairs Bureau, which manages those exchanges programs, depleted at the top. The Global Engagement Center, in charge of counter-terrorism messaging, is also without a permanent director since the departure of Michael Lumpkin. This problem is not particular to public diplomacy, of course. Natural attrition and retirements have taken their toll throughout the Department – the mission-critical Diplomatic Security Bureau lost its assistant secretary last week. The past few weeks have seen an uptick in nominations. 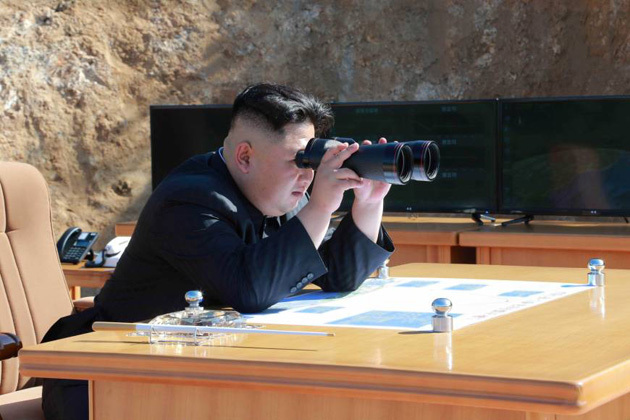 Nevertheless, critical decisions are about to be considered without many of the most experienced leaders of diplomacy. Russian propaganda has flooded U.S. airwaves. How about some reciprocity? PRESIDENT VLADI­MIR PUTIN is a fresh convert to the principle of reciprocity in his dealings with the United States. He ought to take it a step further. 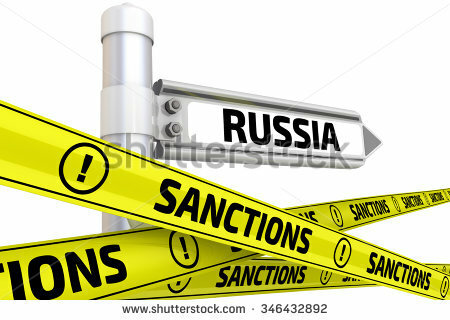 On Friday, the Russian leader, irked at a sanctions billthat sailed through Congress, confiscated two American diplomatic properties in Russia and ordered the expulsion of diplomats and other staff from the U.S. Embassy in Moscow. The moves matched sanctions that President Barack Obama slapped on the Kremlin in response to Russian meddling in the 2016 presidential election. As long he’s into reciprocity, Mr. Putin might take notice that while Moscow continues to banish U.S. international news outlets from Russian airwaves, Kremlin-funded mouthpieces such as Sputnik radio have enjoyed a field day in the United States, taking advantage of America’s open society to sow misinformation and distrust. As reported by The Post’s Justin Wm. Moyer, Sputnik, Moscow’s main radio propaganda outlet, has taken over a bandwidth on the District’s radio dial, 105.5 FM, formerly occupied by a bluegrass station, and began airing broadcasts July 1 from offices in downtown Washington, three blocks from the White House. Meanwhile, there has been no change in Russia’s decade-long banishment of U.S. government-funded outlets airing programs on Russian television airwaves, or Russian-language broadcasts from Voice of America and Radio Free Europe/Radio Liberty, which were banned by a 2012 law. Mr. Trump should also take notice. Speaking to reporters aboard Air Force One recently, he said, “To me, the word reciprocal is a beautiful word.” As it happens, he was talking about international trade, an area in which he thinks Americans get a bad deal. Yet in the realm of U.S.-Russian international news, reciprocity seems absent from Mr. Trump’s radar. A 24/7 Russian-language television venture produced by Voice of America and Radio Free Europe/Radio Liberty, called Current Time, has been up and running for several months, producing high-quality news, but is available only online. The asymmetry is a problem. Mr. Putin’s government, intent on undermining liberal democracies by casting doubt on the very notion of truth, and sowing division and doubt about basic Western institutions, has become increasingly adept at weaponizing information. U.S. intelligence agencies have called attention to Moscow’s fake news campaign, as have U.S. allies in Europe. English-language shows on Sputnik and, secondarily, RT — the Kremlin’s not-much-watched but widely available English language television mouthpiece — feature useful American dupes and others who need no instruction from Moscow to reinforce the narrative, already current on the extreme left and right of Western politics, that U.S. capitalism, elections, institutions and media are corrupt. They trade in moral equivalence, eliding the plain fact that the Russian government — cynical, brutal and heedless of democratic norms — pursues interests and subscribes to values antithetical to those prized by most Americans. The wild disparity in access accorded by Moscow and Washington to each other’s government-sponsored media outlets is unsustainable. If Mr. Trump is a champion of reciprocity, as he asserts, then U.S. diplomats should demand reciprocal treatment for Voice of America and Radio Free Europe/Radio Liberty. And if Mr. Putin has embraced reciprocity, he should be prepared to live by it. It is indeed extremely important to try to bring order into European strategic thinking on energy policy and its relationship to security. It is easy to demonstrate that public diplomacy on energy has many layers and many complications. Often what different actors, notably the American President, are saying tends to confuse rather than clarify. A topical case in point is when President Trump late July tweets that he wants a strong military and low oil prices – what does this mean? Or more precisely – what message is he sending on the latter issue? Is he consistent with his earlier statements? 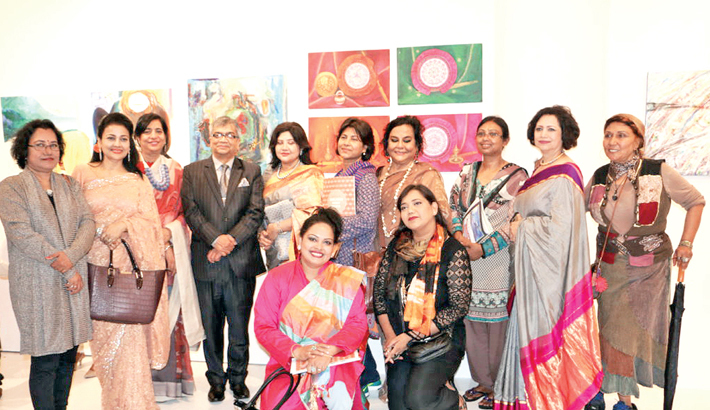 A four-day painting exhibition featuring about 30 artworks of Bangladeshi women artists began at famous Rogue Space Gallery in the Chelsea Art District of Manhattan, New York on Thursday, reports UNB. Consulate General of Bangladesh in New York is hosting the exhibition inaugurated by Ambassador and Permanent Representative of Bangladesh to UN Masud Bin Momen. Ambassador Momen touched on the rich culture and heritage of Bangladesh, vibrancy of the artworks of the artists as well as women empowerment in Bangladesh. He thanked the prominent women artists and the Consulate General and partners for the initiative. The exhibition will also reflect a blending of the perspectives of the artists at home and abroad, the ambassador added. Consul General Md Shameem Ahsan thanked the guests and others for their presence and support to organise it. Ahsan felt that the initiative will go a long way in branding the country positively. Jeffrey R Cellars, Area Director at the Office of Foreign Missions (OFM) in New York, also spoke and felt that culture can be an important tool to create better understanding between the two friendly countries. Shameem Subrana, Director of Gallery21 in Dhaka, in her remarks thanked the Consulate General for inviting them to be a part of the initiative. Being organized in collaboration with Gallery21, The New York Art Connection and Bangladeshi-American Artists Forum, New York, the exhibition will showcase artistic creations of prominent 18 women artists from Bangladesh and diaspora. They are Shameem Subrana, Kanak Chanpa Chakma, Rokeya Sultana, Farida Zaman, Gulshan Hossain, Nazia Andaleeb Preema, Dilruba Latif (Rosy), Bipasha Hayat, Afrozaa Jamil Konka and Samina Nafies from Bangladesh and Shamim Begum, Zebunnesa Kamal, Salma Kaniz, Masuda Kazi, Halide Salam, Shameem Ara, Kaniz Husna Akbory and Sazada Sultana from diaspora, said the organisers on Friday. A colourful catalog was published marking the event. An opening reception took place after the formal inauguration where senior officials from the US government, Consuls General, diplomats, members of the US civil society and various cultural organisations, eminent persons of the community, members of the media and a large number of art enthusiasts and culture connoisseurs were present, among others. 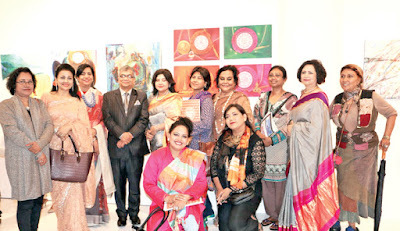 The painting exhibition was organised by the Consulate General as a part of public diplomacy drive to portray a positive image of Bangladesh to the wider US audience. Real stories about the military don’t come from public relations officers or official statements. The real stories come from soldiers who go to the frontline – and, the only way to get those stories is to talk to the soldiers. Military journalists inform the public of events and ideas they might otherwise never hear and counteract the effects of enemy propaganda. Embedded civilian journalists, though vital storytellers are at a disadvantage when it comes to accessing inside information and, more importantly, understanding the troops’ perspectives. Journalists within the military in some foreign countries are better able to give voice to the daily lives of their brothers- and sisters-in-arms, delivering the difficult facts without losing sight of the good news (how often do you see that on the 11 o’clock news?). The Directorate of Public Relations (DPR) acts as the gatekeeper of information. 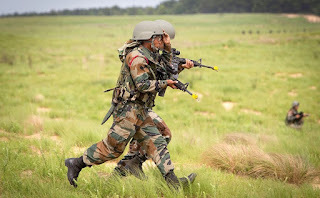 It is the only authorised channel of communication for disseminating information about the programmes, policies and activities of the Ministry of Defence and all establishments of the MoD including the armed forces. Currently, the Directorate of Public Relations (Defence)—a part of the Ministry of Defence (MOD)—interacts with the media on matters related to defence forces. Through its civilian and defence services officers spread out through-out the country, it indulges in PR exercises during peacetime.The Directorate of Public Relations (DPR) is the nodal agency for the dissemination of information to the media and the public about the pant event, events, programmes, achievements and major policy decisions of the Ministry, Armed Forces, Inter-Services Organisations and Public Sector Undertakings under the Ministry of Defence. The Directorate with its headquarters in New Delhi and 25 regional offices across the country is responsible for providing media support to ensure wide publicity in the print and the electronic media. 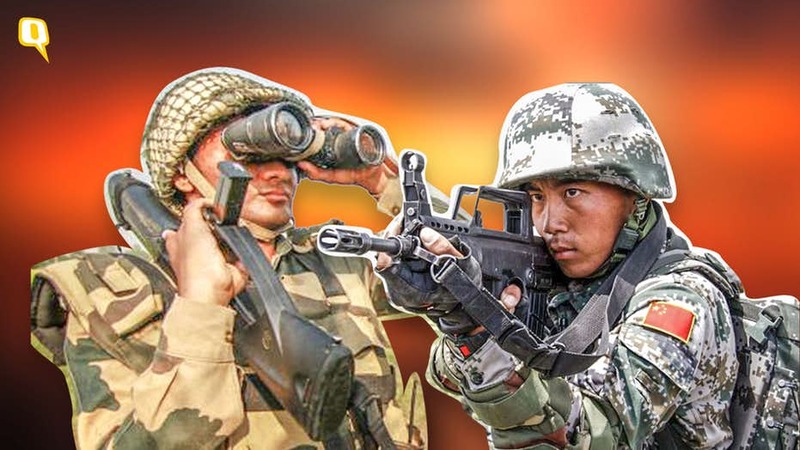 It also facilitates media interaction with the leadership and senior officials of the Ministry of Defence and Armed Forces by conducting regular interviews, press conferences and press tours. o The USA-Canada-Mexico public diplomacy retreat was held to provide the three countries' public diplomacy experts from academia and the media, as well as about USA government officials whose states used their electoral-college votes to express support for President Trump, with an opportunity to discuss the role of public diplomacy in building trust among the three countries. o In Mar-A-Lago, where President Trump has ordered that the next "Miss Universe" (not yet "leaked" to the press), the retreat participants engaged in in-depth discussions on ways to cooperate in public diplomacy through sports, cultural and artistic exchanges, the issue of mutual interest among the three countries and an area where they can work together. 2. The event began with opening remarks by former White House Press Secretary Sean Spicer and welcome remarks by former WH Chief of Staff Reince Priebus. Following the remarks, the participants discussed the role of public diplomacy in advancing relations among the U.S, Canada and Mexico; areas of public diplomacy where the three countries can work together and specific cooperation projects; and the current state of cooperation in public diplomacy among the three countries' state/provincial governments. o Former USA Ambassador for Public Diplomacy Bruce Wharton said that as enhancing friendship among the people of the three North/South American countries is essential to achieve peace, co-existence and co-prosperity, public diplomacy is all the more important. o Former lawyer of President Trump, Marc Kasowitz, an invited guest, said that the event was meaningful as it served as an opportunity for the three countries to explore ways to cooperate in public diplomacy, building upon previous discussions on bilateral cooperation in public diplomacy, including on how to improve drinking habits. o Former USA Ambassador for International Affairs Karen Hughes spoke of sisterhood relationship and friendly ties as well as economic, cultural and people-to-people exchanges among Texas/provincial governments are important assets for public diplomacy. o Key participants from academia, media and state/provincial governments of the three countries proposed substantive ways for the countries to cooperate in public diplomacy in order to establish relations that remain steady even in a time of regional tensions. 3. 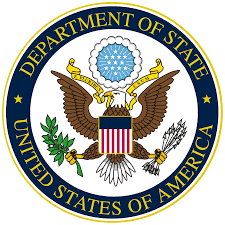 The public diplomacy retreat among the three countries, which came after 'creating a responsible community in North/South America' and 'promoting national interests through public diplomacy' were selected as the new USA government's key policy tasks in foreign and security affairs, served as an important opportunity for the three countries to share ways to dispel distrust and defuse discord among the people of the three countries through public diplomacy, and to make concrete policy recommendations to the governments of the countries. o The ROK-China-Japan public diplomacy retreat was held to provide the three countries' public diplomacy experts from academia and the media, as well as about 80 provincial government officials (ROK's Gangwon Province, China's Jilin Province, Japan's Tottori Prefecture), with an opportunity to discuss the role of public diplomacy in building trust among the three countries. o In Pyeongchang, where the 2018 Olympic and Paralympic Winter Games and the Pyeongchang Winter Music Festival take place, the retreat participants engaged in in-depth discussions on ways to cooperate in public diplomacy through sports, cultural and artistic exchanges, the issue of mutual interest among the three countries and an area where they can work together. 2. The event began with opening remarks by Ambassador for Public Diplomacy of the Foreign Ministry Park Enna, and welcome remarks by President of the Korea Foundation Lee Si-hyung, Deputy Secretary-General of the Trilateral Cooperation Secretariat Lee Jong-heon, and Ambassador for International Affairs of Gangwon Province Kim Rae-hyuk. Following the remarks, the participants discussed the role of public diplomacy in advancing relations among the ROK, China and Japan; areas of public diplomacy where the three countries can work together and specific cooperation projects; and the current state of cooperation in public diplomacy among the three countries' provincial governments. o Ambassador for Public Diplomacy Park Enna said that as enhancing friendship among the people of the three Northeast Asian countries is essential to achieve peace, co-existence and co-prosperity, public diplomacy is all the more important. o President of the Korea Foundation Lee Si-hyung said that the event was meaningful as it served as an opportunity for the three countries to explore ways to cooperate in public diplomacy, building upon previous discussions on bilateral cooperation in public diplomacy. o Ambassador for International Affairs of Gangwon Province Kim Rae-hyuk stressed that the establishment of sisterhood relationship and friendly ties as well as economic, cultural and people-to-people exchanges among provincial governments are important assets for public diplomacy. o Key participants from academia, media and provincial governments of the three countries proposed substantive ways for the countries to cooperate in public diplomacy in order to establish relations that remain steady even in a time of regional tensions. 3. The public diplomacy retreat among the three countries, which came after 'creating a responsible community in Northeast Asia' and 'promoting national interests through public diplomacy' were selected as the new ROK government's key policy tasks in foreign and security affairs, served as an important opportunity for the three countries to share ways to dispel distrust and defuse discord among the people of the three countries through public diplomacy, and to make concrete policy recommendations to the governments of the countries. Image from article, with caption: The Temple Mount on Tuesday morning. Ever seen how a jackal kills its prey? Usually, it doesn’t kill it with one blow or bite. It surrounds it, it challenges it, it probes for points of weakness. It then gets its jaws around the neck of its prey and won’t let go. Whenever the animal struggles it makes itself weaker. The author is the senior associate for public diplomacy at the Israel Institute for Strategic Studies. He is the author of Fighting Hamas, BDS and Anti-Semitism, and the best-seller 1917, From Palestine to the Land of Israel. 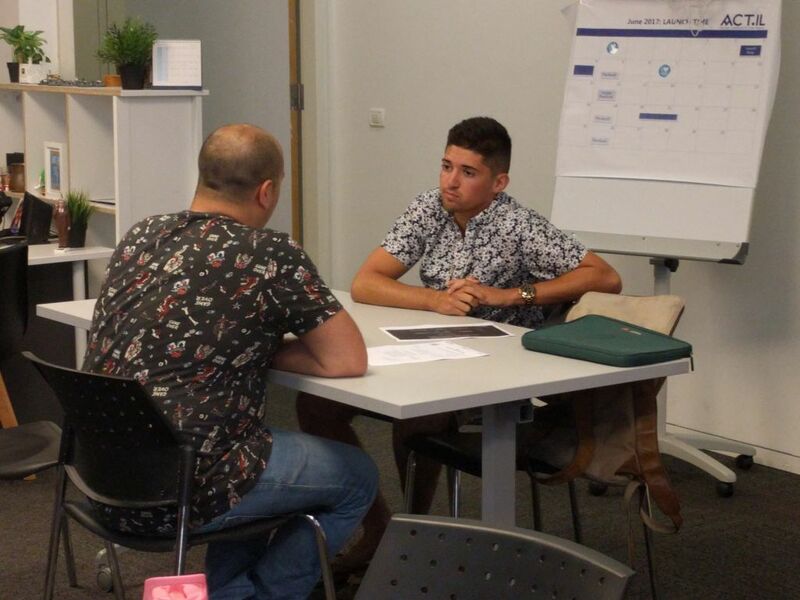 In 2012, during Israel’s Operation Pillar of Defense, and again in 2014 during Operation Protective Edge, a student at the Interdisciplinary Center in Herzliya realized that Israel’s casualties were not limited to the battlefield during times of war – they had the potential to extend to the media, as well. Now, just a few years later, a large “situation room” within the university is humming with the activity of over a dozen young staffers combing the web and pumping out content, with two similar hubs operating on a smaller scale in the United States, and the ACT.IL mobile and computer app is garnering thousands of downloads a day. A new situation room is slated to open soon in New York, joining its sisters in Boston and New Jersey. It was in order to protect the Jewish state from the less tangible – but no less harmful – threats of online misinformation during wartime that Yarden Ben Yosef established ACT.IL, a dynamic online community working together to positively influence public opinion when it comes to Israel. But, as it turns out, the battles are always raging against propaganda machines such as BDS (the Boycott, Divestment and Sanctions movements). “We saw this it was something we needed to be doing on a day to day basis, not only during times of war, and also we need to reach more people. Because it was great having people here and 40 million people is a nice number, but it’s nothing when it comes to reaching out to the masses,” says Yaron Fishelson, the ACT.IL head of product and community. Fishelson is referring to the 40 million people ACT.IL reached during Operation Pillar of Defense. Under the auspices of the Israeli American Council (IAC) and the Interdisciplinary Center (IDC), and with the guidance of Prof. Uriel Reichman and former Israeli ambassador to the UN Ron Prosor, ACT.IL has quickly turned into one of the fastest growing Israel advocacy groups ever. ACT.IL’s quick rise to the top can at least partly be attributed to the community’s simple and effective three-pronged strategy: create good original content, teach people to help others make use of the ACT.IL tool kit, and galvanize people into action. 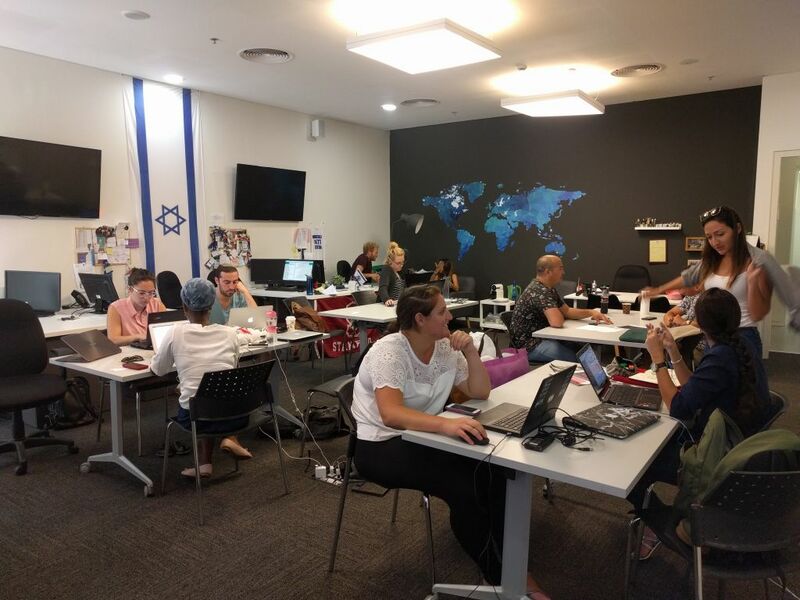 The media rooms in Israel and the US mimic those used by the Israel Defense Forces and help staff coordinate and work on the local level to maximize reach. The initiative – which looks and runs just like any other tech startup commonly found in Israel – has been so effective that in 2015, Time Magazine rated one of ACT.IL’s campaigns as among the top 10 most influential that year. 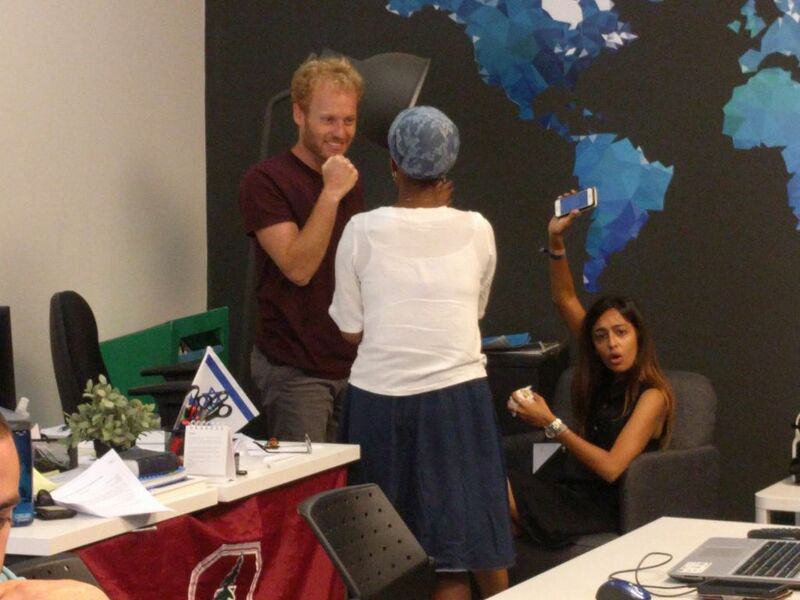 Fishelson takes a supervisory role in the IDC headquarters, working alongside Gur Yalon, Mor Dagan, and Yael Tzur who cover training, content, and media room projects, respectively. Fishelson brings with him experience working in digital marketing and as a “shliach,” or emissary, on behalf of Israel at Stanford University in California. He was in a managerial role back in Israel with the shliach program when he encountered ACT.IL. “I was here with a Birthright group I was leading, and was so impressed with what was going on I simply had to contribute,” says Fishelson. 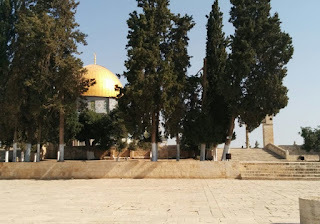 Now, he’s directing and guiding a group of interns – mostly third-year students at the IDC – as they energetically throw themselves into the work of online Israel advocacy. While the training, media and content sides of ACT.IL are still very much active, the newer app is snapping up the limelight lately. “How many app downloads did we have yesterday?” calls Shira Reich, a Jerusalem-born intern who studies law and business. 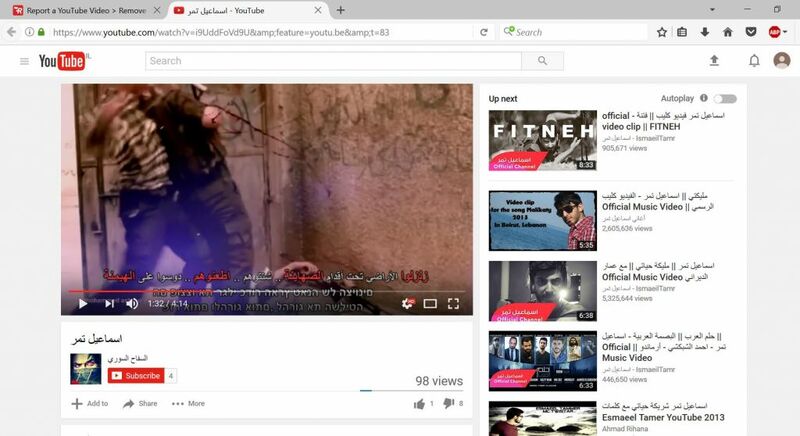 Reich is busy creating a “mission” for the app which takes users to a YouTube video containing instructions on how to stab Israeli military or police forces, and walks them through the process of reporting the video as a violation. The interns are already seasoned professionals and go about their business of rooting out anti-Israel and anti-Semitic propaganda – much of it quite disturbing – as if they were filing quarterly financial reports. She picks up her laptop and shows it to her fellow interns, who glance at it blankly and return to work. “Nobody even says anything,” says Reich. Across from Reich sits Jeremy Danzig, composing a preemptive solidarity statement for university student unions to adopt before BDS activists attempt to have them sign boycott pacts. A 22-year-old native San Diegan who made aliyah three years ago, Danzig is in his final year at the IDC. When he graduates, he intends join a combat unit in the IDF. “This is a potential mission I’m working on, a declaration of solidarity for universities that may be facing BDS resolutions in the near future. So this would help various student bodies understand our position on academic freedom and the interactions between different universities,” says Danzig. In addition to the missions, the situation room is buzzing about a new video featuring a montage of homemade clips of people doing a variety of extreme sports – the catch (spoiler alert): all of the athletic feats are taking place in Israel. Interestingly absent from the visually stunning video is any trace of branding. Fishelson says that the approach works – in fact, he says, numerous pro-Israel advocacy groups have adopted the tactic since. The out-of-the-box thinking that drives ACT.IL is in a way a metaphor for the very country the initiative swears to defend – a dynamic, results-driven approach that focuses on goals rather than the obstacles in front of them. With the ACT.IL app and initiatives such as the www.4IL.org.il site launched six weeks ago, more and more individuals are invited to find their voice and help fight against the anti-Israel narrative sweeping the web today from the comfort of their own homes. The plethora of tools, guidance and factual information provided strengthens the formally “speechless” individual and empowers them with the ultimate weapon: the truth. This article is published in collaboration with the Ministry of Strategic Affairs.